Home / news / services / shopee / Shopee intros BLACKPINK as its new ambassador, announces 3.3 sale! 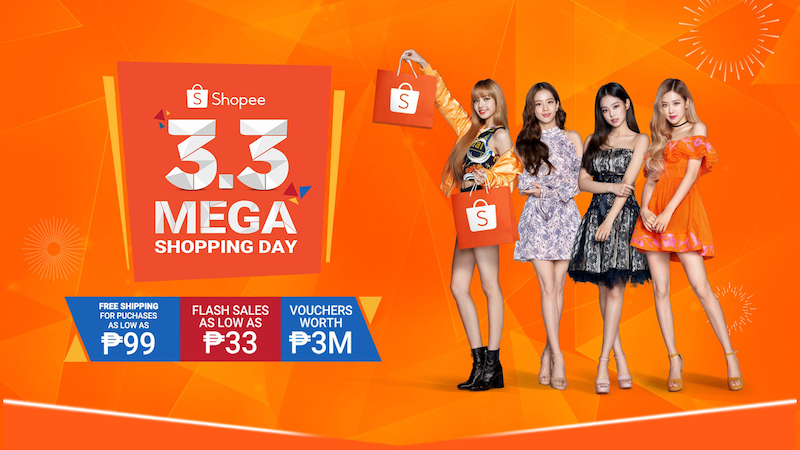 BLACKPINK is Shopee's 3.3 Mega Shopping Sale ambassador! The first major sale of 2019 will start on February 15 as part of Shopee's kick-off online revolution for their 3.3 Mega Shopping Sale! The first-ever YG official shop will also be launched by Shopee where K-Pop fans can get exclusive access to YG merchandise of their favorite artists like BLACKPINK, WINNER, and iKON. Shopee will be dropping exclusive deals for the launch of the official YG Shop and BLACKPINK's television commercial! Users can score up to 10 percent off the official BLACKPINK light stick on YG official shop that has started last February 11 and will end on February 18. Shopee's 3.3 Mega Shopping Sale will start on February 15 going down to the main day, March 03, 2019. Users can enjoy FREE shipping with purchases as low as PHP 99, flash sales starting at PHP 33, and PHP 3 million of vouchers up for grabs!